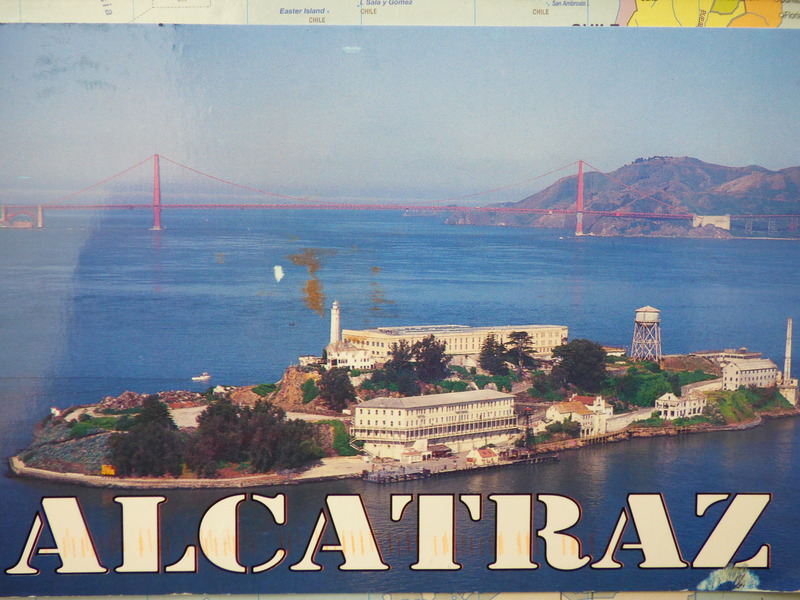 Geography Cat’s blood ran cold when he received not one but two postcards from Alcatraz Island, San Francisco Bay, home of the infamous prison. Thank you to both Faith and whoever else it was who sent these two cards. (This second card is from 1979 by the way). The History Channel has a very interesting video about The Rock, as it is called, this link will take you straight there. The island was used as a military prison and then a federal prison until 1963. Now it is a tourist destination and a National Historic Landmark. This island is one of a number around the world that were once prisons, and are now tourist attrcations. Notable examples include Devil’s Island off the coast of French Guiana and Robben Island, South Africa. Why do tourists enjoy these sites? Some amazing films were made there – ‘Escape from Alcatraz’ being one.